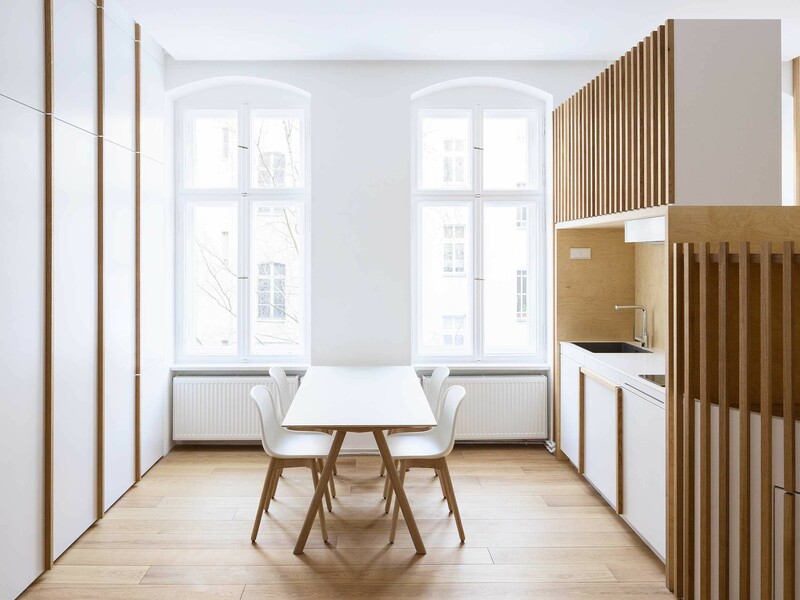 The project consisted of the refurbishment of an apartment in Friederichshain-Kreuzberg in Berlin. It is located on the second floor and is accessed through the first courtyard of an old townhouse built in 1910. 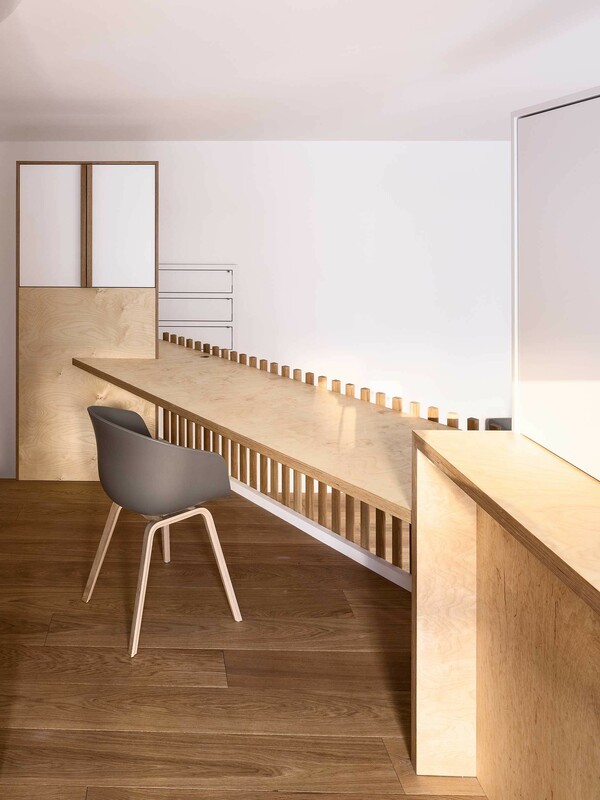 The demanding renovation program for the exceedingly small (6 x 6.5 m) apartment was successful thanks to its generous ceiling height of over 3 meters. 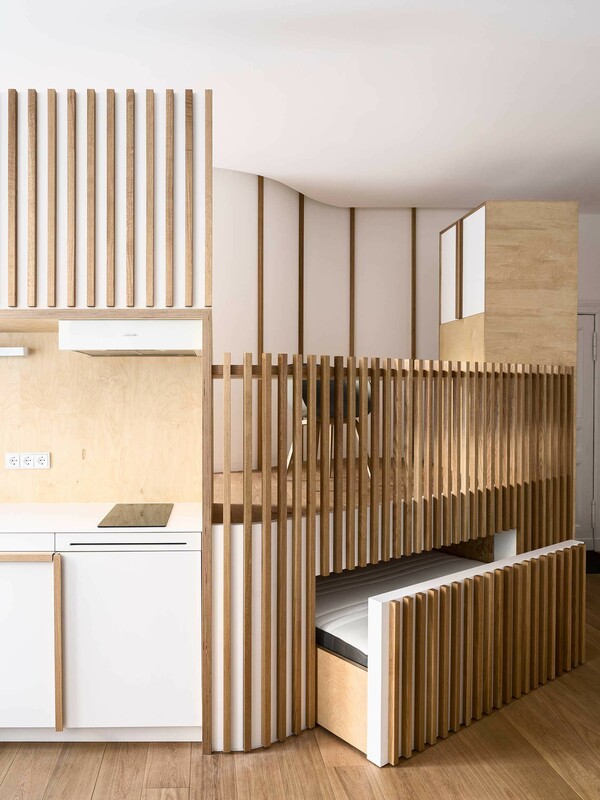 A section-based approach made it possible to create two levels within the apartment’s only space. 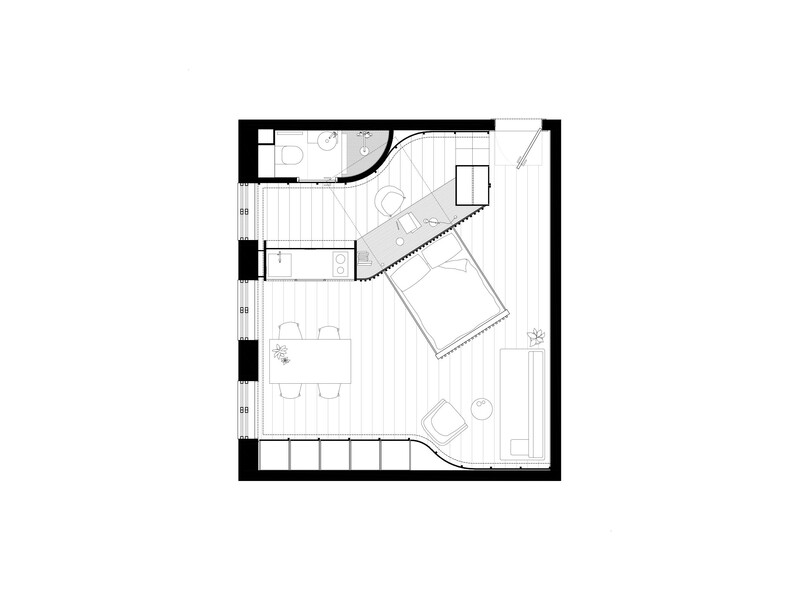 The area at podium level, around 80 centimeters above floor level, contains the bathroom and a large study table – whereas the floor level contains the entrance area including the living and dining spaces. 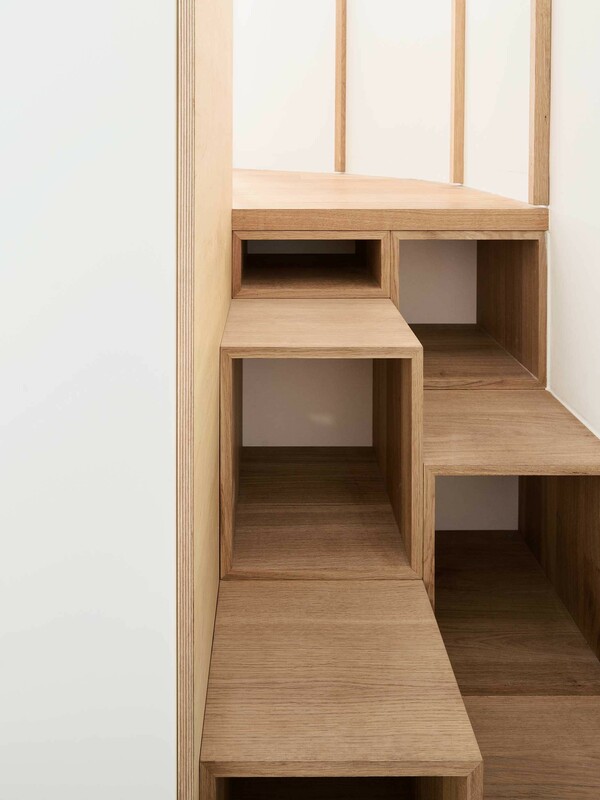 The bed on the bottom level is designed as a drawer that can be hidden under the podium. 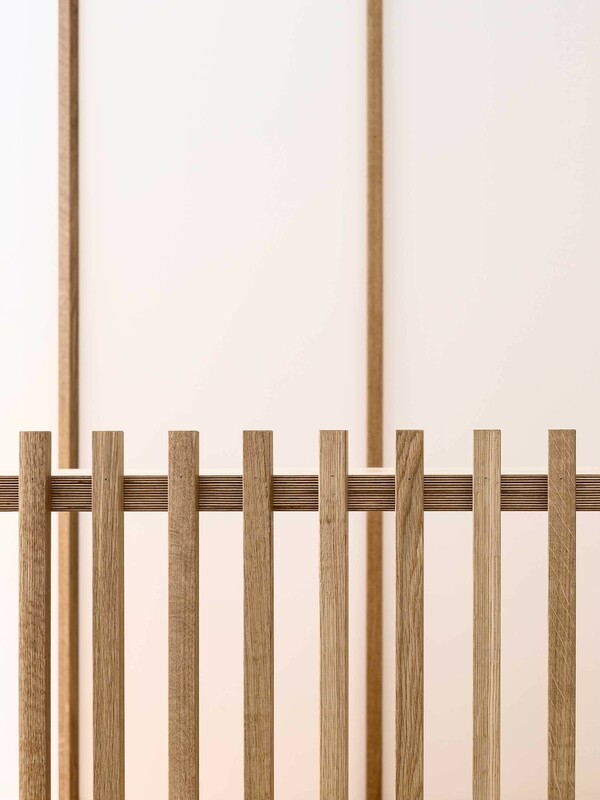 At floor level two curving lines define a new, softer perimeter. 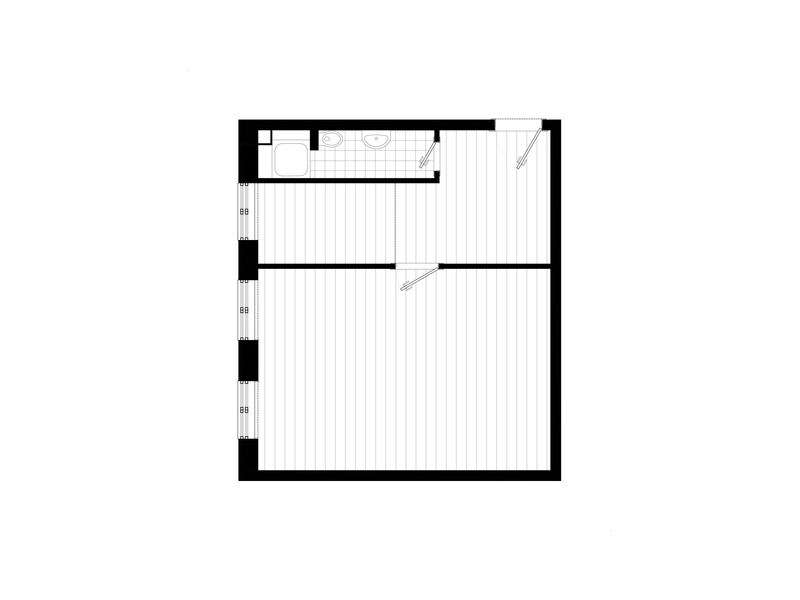 And the space between the new and the old areas is used to hide certain elements very effectively in such a small apartment: a bathroom on one side, and storage space for the kitchen and bedroom on the other. 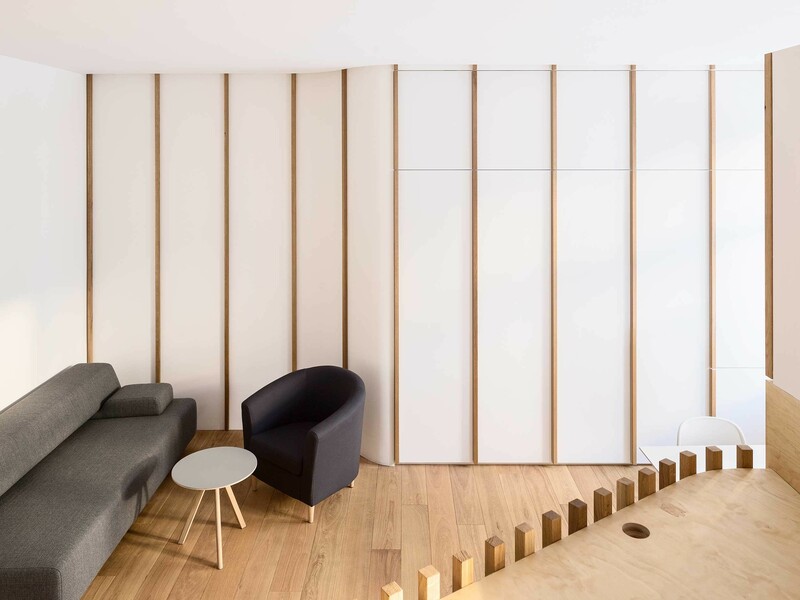 Oak and white lacquered MDF panelling were the new materials used for the apartment, and the straight wooden strips accentuate the curving geometry of the new interior.